Migraine is a severe form of Headache characterised by pulsating type of pain ( mostly on semi-lateral), nausea, vomiting and oversensitiveness to light and noise. It occurs due to abnormal activity of Brain. Genetics plays a major role in Migraine. 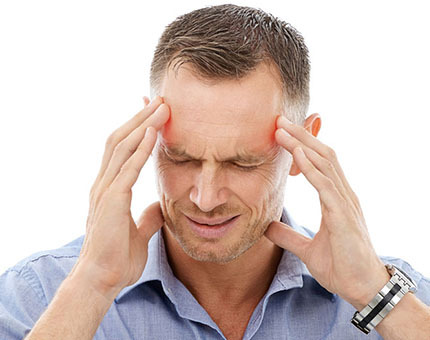 Migraine may get triggered by Hormonal changes, emotional stresses, physical stresses like physical exertion & loss of sleep, diet triggers and environment triggers ( strong smell, light, sun heat, cold environment). Homoeopathy medicines selected on the basis of stress, trigger factors and Nature of the person helps to cure the Migraine. Ayurvedic Panchakarma treatments like Nasiyam (administration of herbal oils into the nostrils) and Shirodhara (head massage) helps to remove the cause. Herbal supplements and customized diet plan help to pacify tridoshas. Yoga helps to lead a stress-free life which leads to the permanent cure. DON’T SUPPRESS THE PAIN WITH PAIN KILLERS!! GET CURE WITH OUR TREATMENTS. 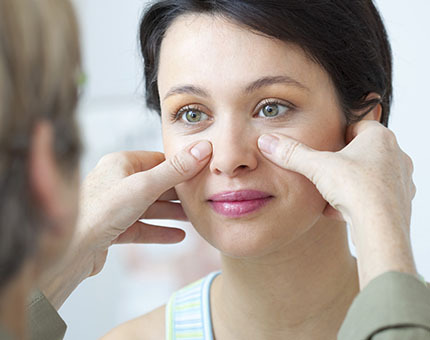 Sinusitis is the Inflammation & infection of airspaces of skull and facial bones. It leads to pain and tenderness over the sinuses. Headache, ear pain, nasal discharge, Fever, nose obstruction are the common symptoms. It may be triggered by environment triggers like cold air exposure and head bath. Homoeopathic medicine selected on the basis of Nature of diseased person and trigger factors help to eradicate the disease from its root. Ayurvedic panchakarma procedures like Nashiyam along with herbal supplements helps to recover fast. Pranayama helps to breathe easily and helps in eliminating toxic substances from infected sinuses. In Priyam Clinic the Best Homoeopathic remedy selection is done by our Homoeopathic Practitioner and Experts are planning Ayurvedic and Naturopathy treatment protocol for you for a speedy recovery. In our Clinic, usually within a day, the patient started to experience the relief in acute distress. 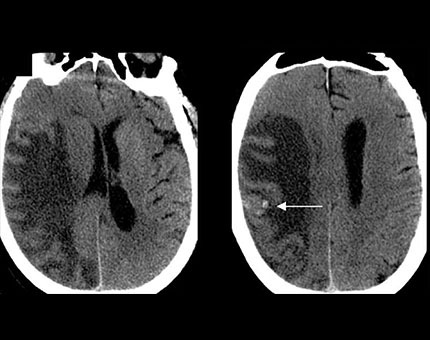 A chronic case started to show improvement in 1-3 months based on the severity of the case. Brain tumor is abnormal cell growth in the Brain. It may be benign or cancerous. A cancerous tumour may be a primary tumor or secondary ( which spreads from other cancer sites). Symptoms are produced on the basis of size and location of the tumor. Common symptoms are unexplained severe headache, nausea and vomiting, vision disturbances like double vision, speech difficulties, difficulty in walking, confused state, emotional disturbances, seizures/convulsion. 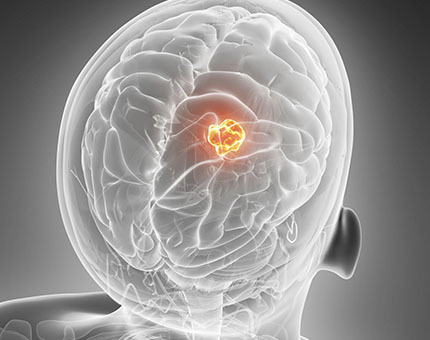 Radiation exposure, emotional stress in a genetically predisposed person causes Brain tumor. Homoeopathic medicines help to prevent spreading of the tumor and it helps to alleviate the symptoms without any side effects. In our priyam clinic, we are adapting well proven Banerji’s protocol along with ayurvedic, detox and diet plan for Cancer treatment which gives good results in all stage of a disease. 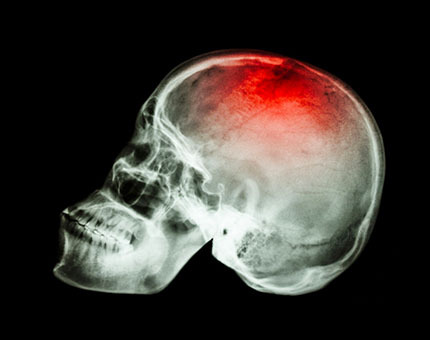 Interruption of blood supply to the brain causes a stroke. Interruption occurs due to blocks or bursting of blood vessel. Improper management of Blood pressure, diabetes mellitus and cholesterol are the major cause of stroke. Early detection and treatment help to avoid the death of brain cells. Difficulty in walking, paralysis of limbs, muscle weakness, decreased sensation, confusion, abnormal speech, difficulty in swallowing, numbness, double vision, blurred vision, involuntary urination and stool excretion are the common symptoms. Homoeopathic medicine selected on the basis of nature of the disease and person after careful assessment helps to recover symptoms rapidly. Ayurvedic medicines like Arjuna, Ashwagandhaaristha, Brahmi Vati, Ashvagandhachurna helps in fast recovery. Panchakarma procedures like Basti, Nasiyam, Shirodhara helps in removal of toxins for a fast recovery. Varma aids is the fast rehabilitation of stroke patients. Acupuncture helps in improvement of muscle weakness. Naturopathic diet and yoga not only helps to recover fast. It also helps in prevention of further attacks by adopting a healthy lifestyle. In our Priyam clinic, We have a panel of doctors from all branches to improve your health promptly. Usually, in stroke, Homoeopathic medicines along with supportive therapy like Varma, Ayurveda & Naturopathy helps to improve patient within 1 to 6 months. Maximum rehabilitation is possible with us. 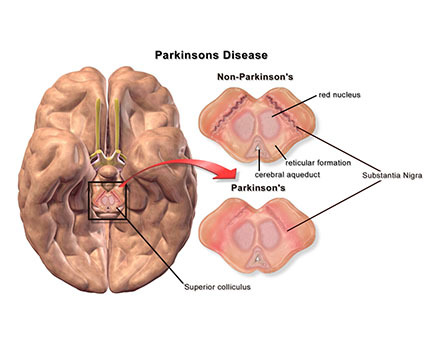 Parkinson’s disease is a degenerative disorder of neuronal cells which produces Dopamine(a chemical in the brain helps for sending proper signals). Genetics plays a major role in disease pathology.It may be triggered by environmental and major emotional distress of life. Common symptoms are resting tremors, a rigidity of muscles, slowness of movement, difficulty in swallowing, expressionless face, abnormal walking which may lead to anxiety, depression. Nature of the diseased person, an emotional cause of a disease plays a key role in selecting the Homoeopathic remedy. Ayurvedhic medicines like Atmagupta ,Dasamula kashayam,devadharu,kushta,eranda etc., supports very well. Panchakarma treatments and Varma procedures help to rejuvenate cells to its maximum. Naturopathic diet helps to eliminate toxins and thus aids in speedy recovery. In our Priyam clinic, We have a panel of doctors from all branches to improve your health promptly. Usually, in Parkinson’s, Homoeopathic medicines along with supportive therapy like Varma, Ayurveda & Naturopathy helps in supporting the patient to its maximum. Also called as SEIZURE DISORDER / CONVULSIONS. It occurs due to abnormal activity ( increased electrical discharge) of Brain. It is characterised by involuntary movements of limbs, muscle twitching, abnormal behaviour, loss of consciousness. It affects all age groups. Genetics plays a major role. In a genetically predisposed person epilepsy may be triggered by Fever, injury, low blood sugar level and emotional stress. The homoeopathic remedy selected on the basis of complete history helps to cure the disease very rapidly. Ayurvedhic medicines like Panchagavya ghrita, Kalyanaka ghrita, Brahmi ghrita, Brahama rashaya helps to restore brain functions. A wholesome diet , Low carbohydrate diet and yoga support effectively in restoring brain activity. In our Priyam clinic, our panel of doctors helps you to recover from disease rapidly by adapting all possible modalities in 3 to 8 months depends upon the age & nature of the disease. It's possible to recover from long-term anti-convulsant therapy with us. 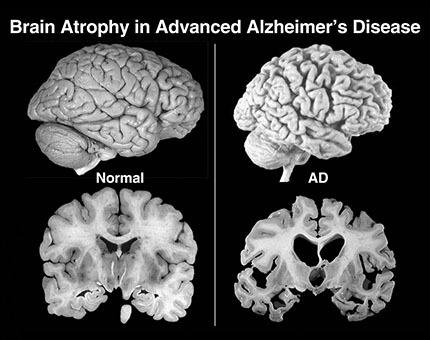 Alzheizmer’s disease is the major cause of dementia in old people. It is a slow degenerative disease of Centran nervous system. Progressive loss of memory, loss of orientation to time and place, problems with performing familiar tasks, difficulty writing or speaking, mood or behavior changes, mood or behavior changes are the common symptoms of a disease. Homoeopathic remedy along with Ayurvedhic medines like brahmi supports cognitive function to its maximum. Naturopathic detox treatment and diet helps to eliminate toxins and thus aids in speedy recovery. In priyam clinic, Our panel of doctors helps to support the brain functions of by creating customized treatment plan after complete assessment. usually, patients shows improvement in 3 to 6 months based on the severity of the disease. Falls, blows and accidents may cause brain injury. Symptoms range depends on the severity and location of an injury. Common symptoms are Headache, Seizures, vertigo (dizziness), Muscle weakness, Stroke. In Homoeopathy beautiful medicines are available to treat Trauma effectively. Ayurvedic Panchakarma and Varma aids rejuvenation of brain and muscle cells. In our priyam clinic, we have the best rehabilitation treatment for muscle weakness and stroke. 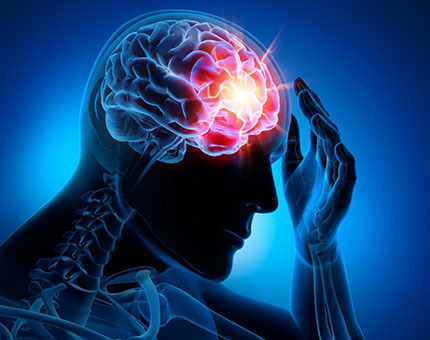 Our panel of doctors helps you to recover from Traumatic Brain injury by customizing the best plan of treatment. Alopecia is a loss of hair from head or body. Alopecia Areata - Hair loss in patches. Alopecia Totalis - Total scalp hair loss. Alopecia Universalis - total loss of body hair including eyelashes and eyebrows. 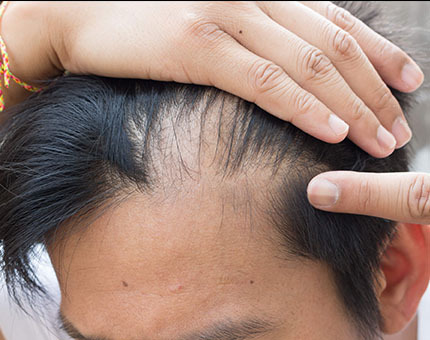 Androgenetic alopecia - thinning of hair due to a genetic pattern. Scarring alopecia - loss of hair with scar formation which may lead to permanent hair loss if didn’t treat on time. Anagen effluvium - Hair loss due to exposure to chemicals.This is Common in this modern era.very easy to treat with Homoeopathy and ayurvedic medicines. Genetics, Autoimmune state of an immune system, hormonal imbalances, nutritional deficiency, emotional stresses, using harmful chemical containing shampoo, modern hair treatments like hair colouring, straightening are the common causes of alopecia. Homoeopathic medicine selected on the basis of nature of the person and nature of disease help to treat alopecia from its root cause. The best Homoeopathic medicine has capacity to alter the autoimmune state of the patient. Ayurvedic external treatments like Shiroabhyanga, Sirolepa, Prachaana, Dhara, Virechana, Vasthi, Nasya helps effectively in managing Alopecia. Naturopathic diet Rich in vitamins, Iron, the omega3 fatty acid helps is regrowth of hair.Detox treatments help to remove accumulated toxins from a scalp. Regular yoga helps to live a stress-free lifestyle. All above treatments suit premature greying too. In priyam clinic, Our panel of doctors helps you to identify the type and cause of your disease. Personalised diet and treatment is planned after taking the complete history.Usually, our patients show improvement in1 – 4 months when taking Homoeopathic treatment along with Ayurveda and naturopathy support. No transplant or painful procedures !! look naturally healthy and beautiful with us! !